Middle East respiratory syndrome (MERS) is a viral respiratory disease caused by a coronavirus (MERS‐CoV) that was first identified in Saudi Arabia in 2012. Coronaviruses are a large family of viruses that can cause diseases ranging from the common cold to Severe Acute Respiratory Syndrome (SARS). 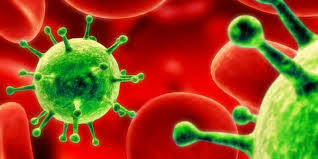 The virus is primarily spread through airborne and droplet transmission. MERS-CoV has spread from ill people to others through close contact, such as caring for or living with an infected person. Infected people have spread MERS-CoV to others in healthcare settings such as hospitals. It is uncertain where the virus came from. However, it is likely to have come from an animal source. Camels and bats have been implicated as natural reservoir for the virus. Amidst the rising fear and unrest, it is reassuring to know that the virus has not been behaving differently. It is direct transmission and not sustained human-to-human-transmission. Cases are all related to the same person who came traveling from the Middle East. Fever. Take your temperature twice a day. The source of the MERS-CoV is not yet fully clear. A coronavirus very similar to the one found in humans has been isolated from camels in Egypt, Oman, Qatar, and Saudi Arabia. . It is possible that other reservoirs exist. However, other animals, including goats, cows, sheep, water buffalo, swine, and wild birds, have been tested for MERS‐CoV, but so far none have been found in these animals. These studies combined support the premise that dromedary camels are a likely source of infection in humans.